Carlos Pun was born on March 07, 1989. Lives and works in Lima , Peru. 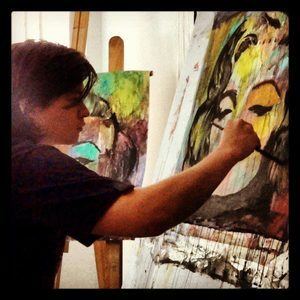 Degree in design and self-taught artist , made ​​specialised studies in painting, advertising design and illustration. Currently broadcasts its work in galleries and online, with many followers around the world. His works are characterised by the use of bright colors, variety of textures, recreating the faces of celebrities and icons of pop culture, abstract portraits, the human figure, female nudes , among others.